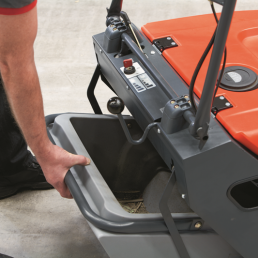 The all-in-one universal implement carrier with a quick-change system and plenty of different attachments – that’s what we call cost effective. 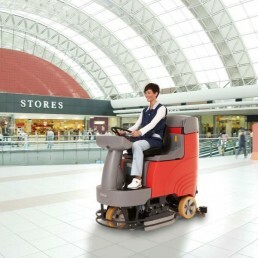 You only buy what you really need. 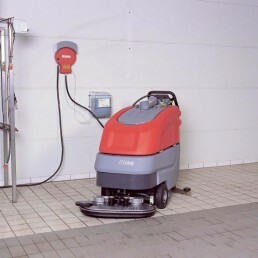 in the car park or indoors in the underground car park! 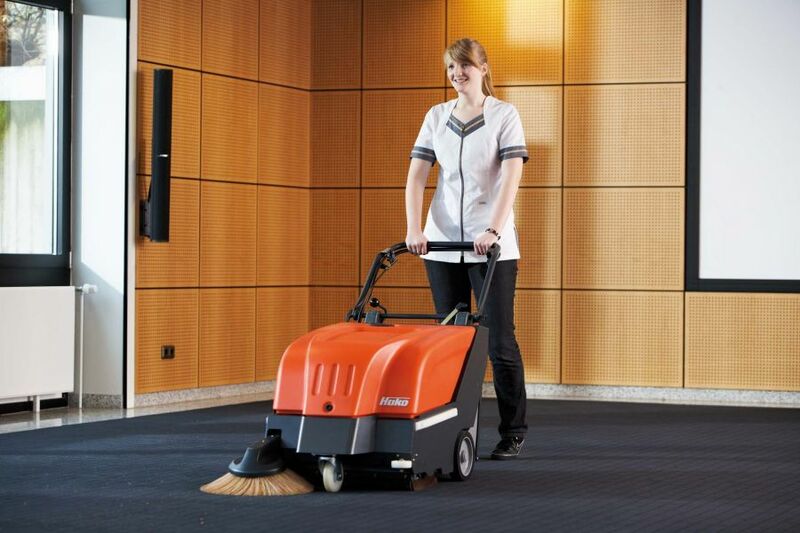 means that the Walk-behind Sweepmaster production series can be deployed almost everywhere. 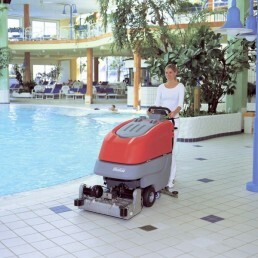 permanent outdoor facilities. 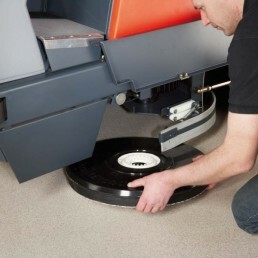 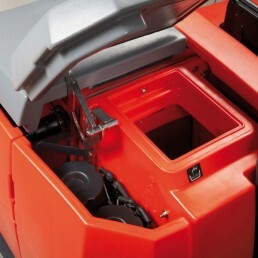 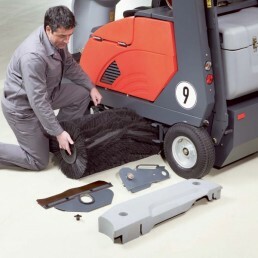 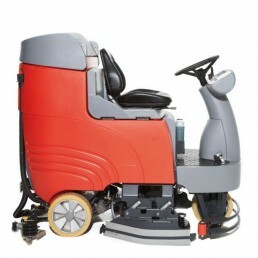 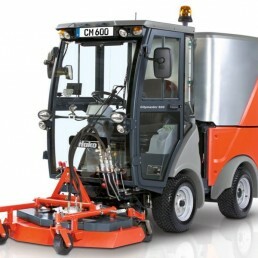 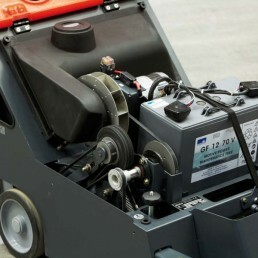 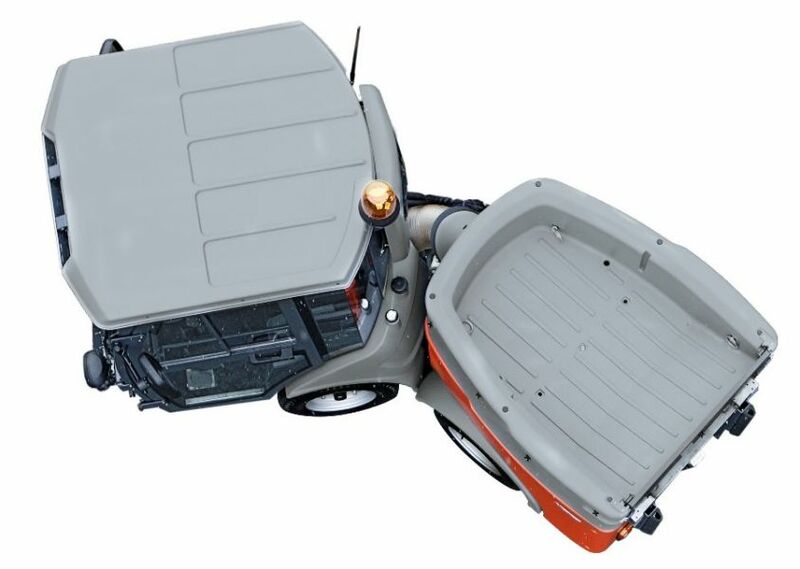 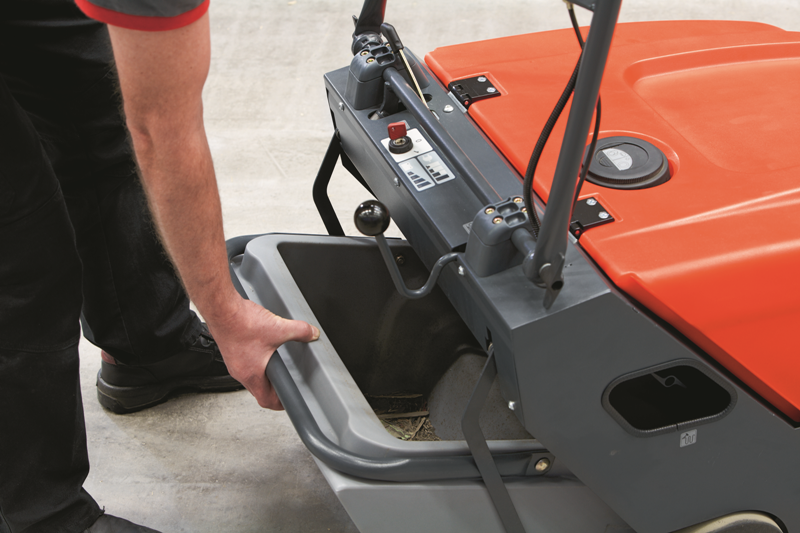 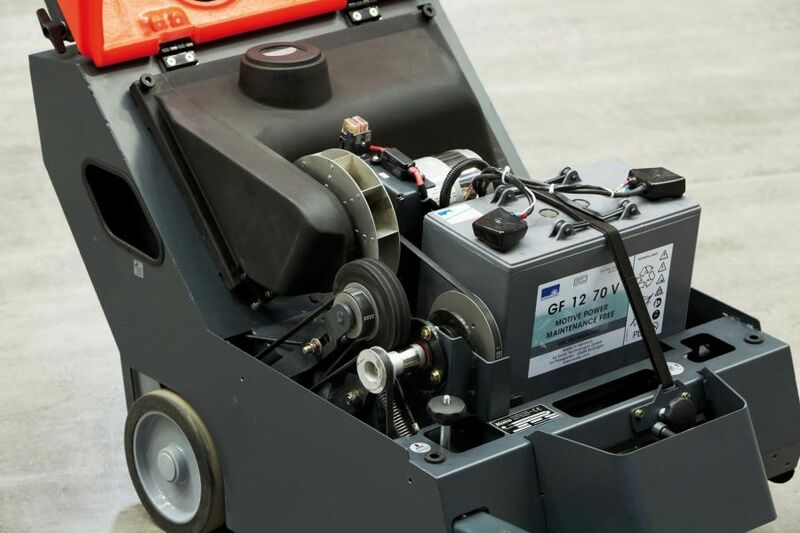 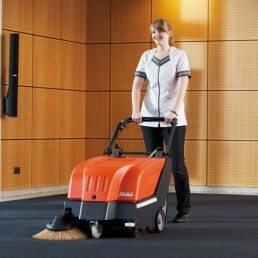 The Sweepmaster 1200 RH is available for selection with a petrol/LPG, diesel or battery drive. 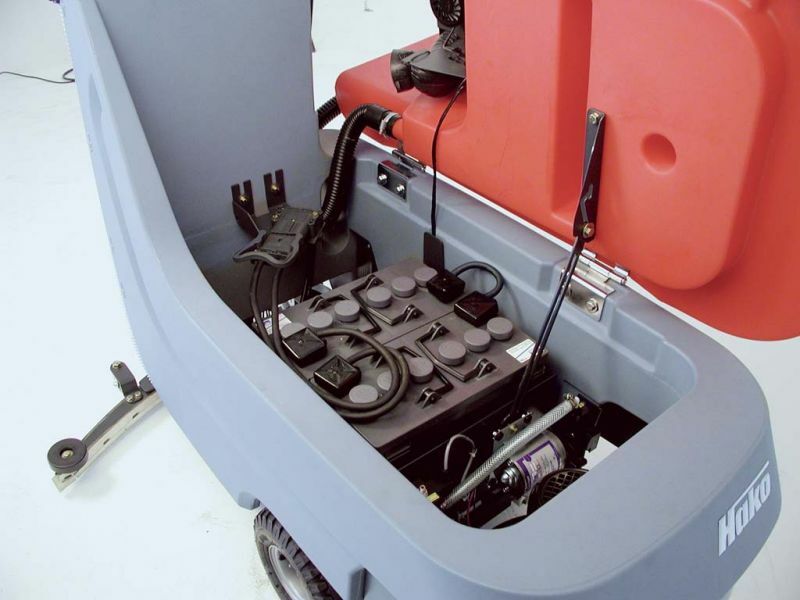 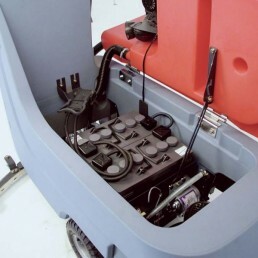 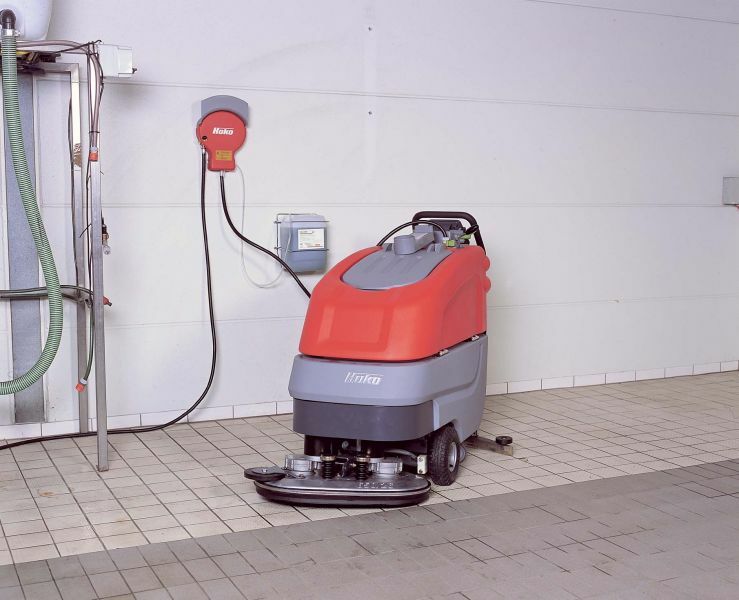 The battery-powered models have an operating time of up to 5 hours and the petrol, diesel and liquified petroleum gas models up to 10 hours, meaning that they can be used to complete all types of indoor and outdoor work. 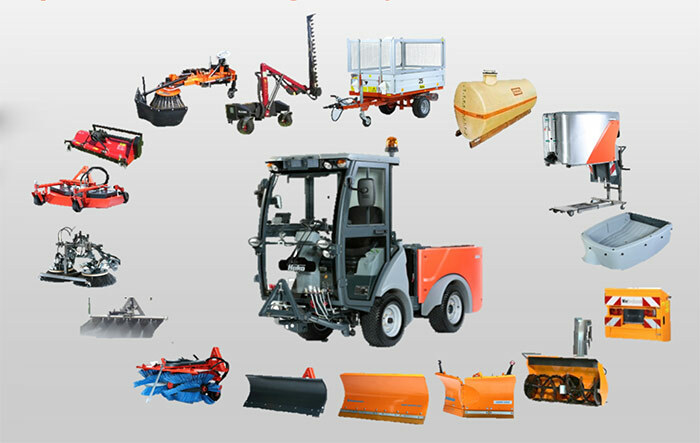 Numerous options are available for selection depending on the working conditions, e.â€†g. 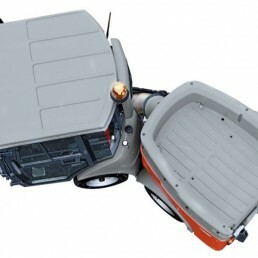 cab safety roof, second side brush (left)or flashing beacon. 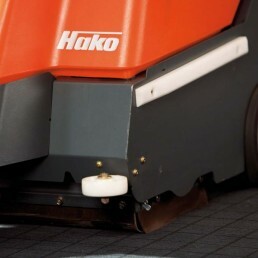 Hako offers a wide range of scrubber-driers for the wet cleaning of hard floors. 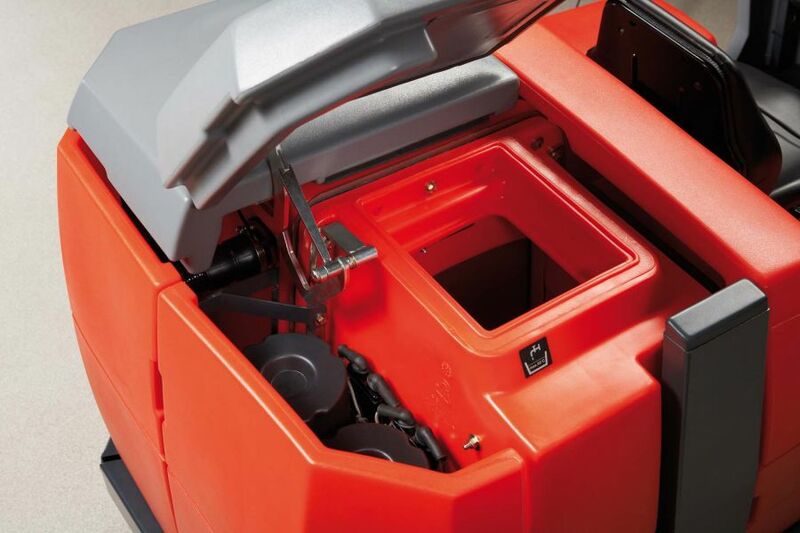 Innovative systems increase the efficiency and scope of your operations: Use AquaStop to save water and increase operating times. 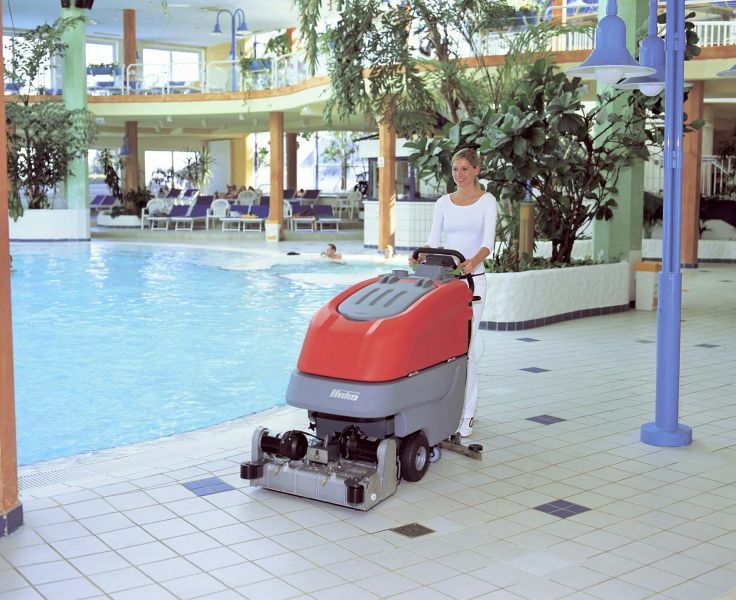 AquaForce renders cleaning agents superfluous. 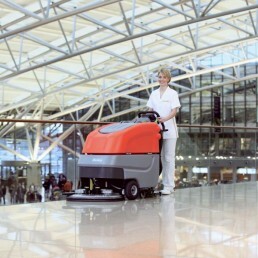 DaytimeCleaning guarantees long periods of operation. 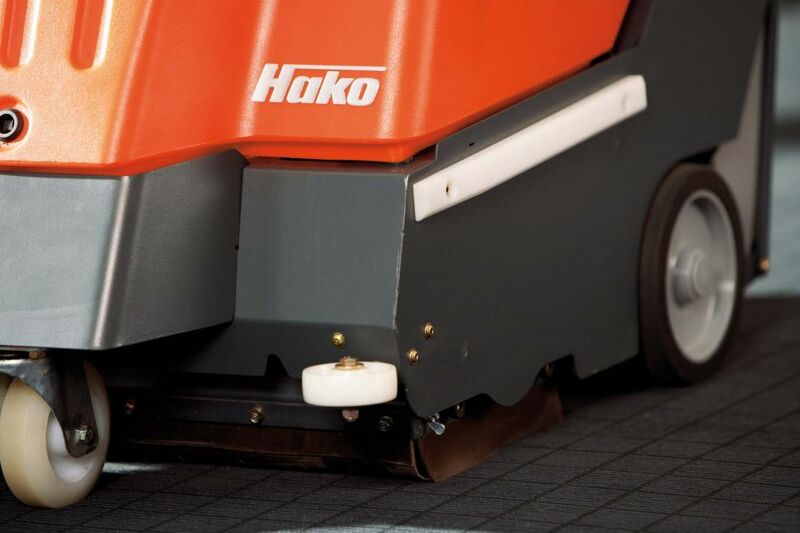 And Hako-AntiBac® increases machine hygiene for use in sensitive areas by arresting the development of bacteria and fungi!vacuum-sweeper machines from Hako. 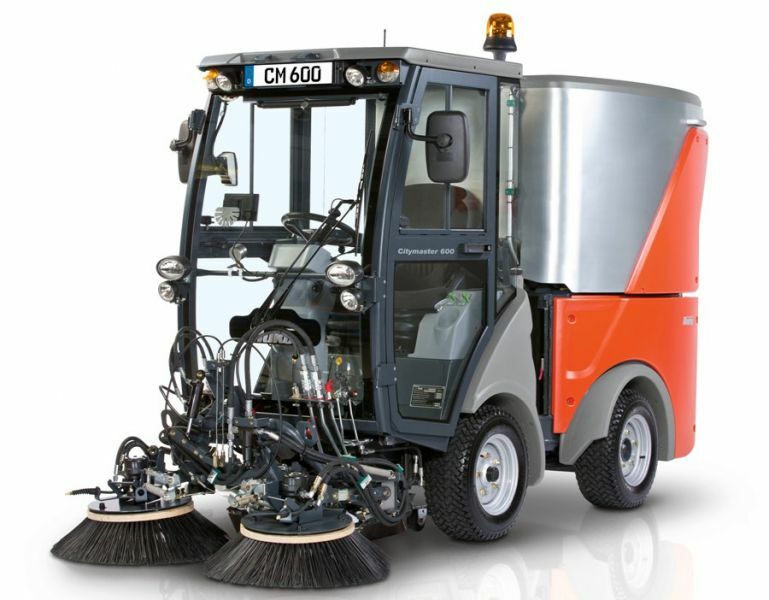 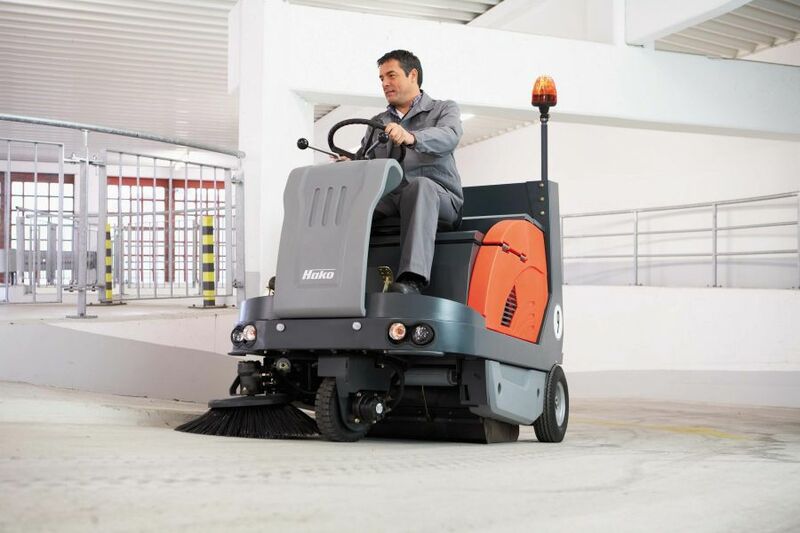 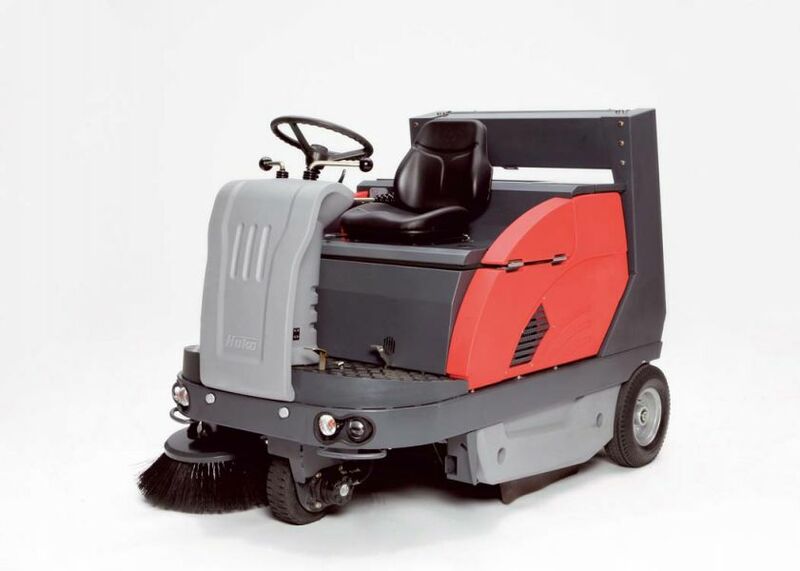 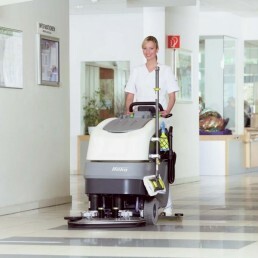 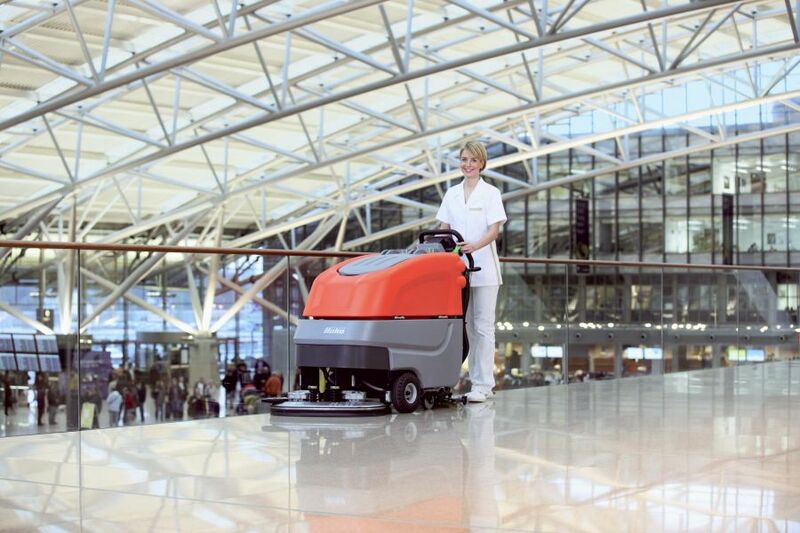 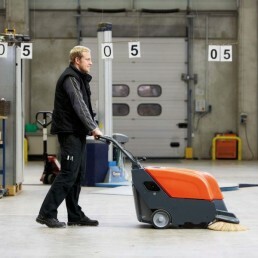 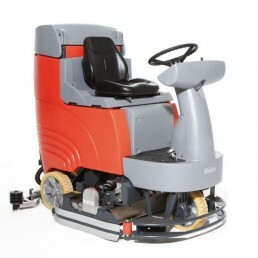 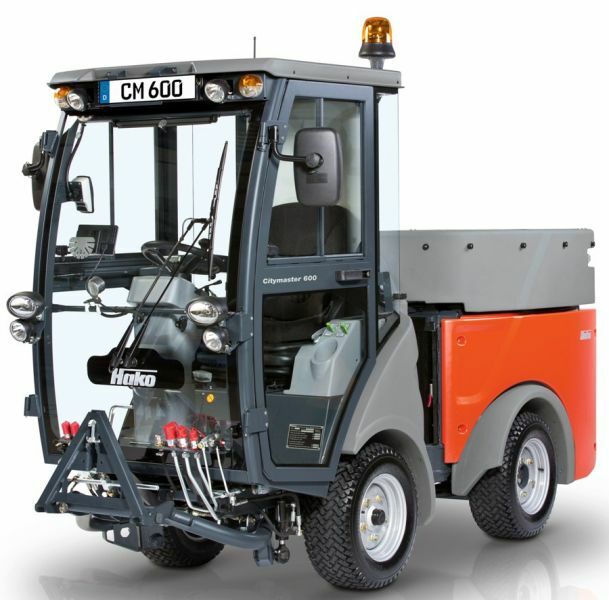 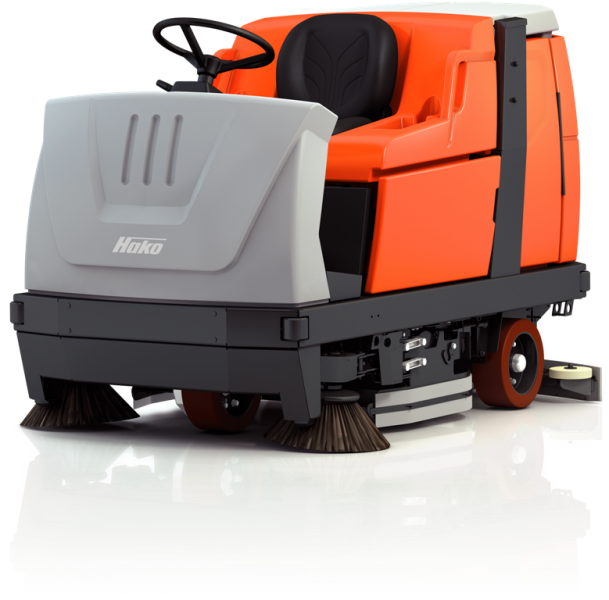 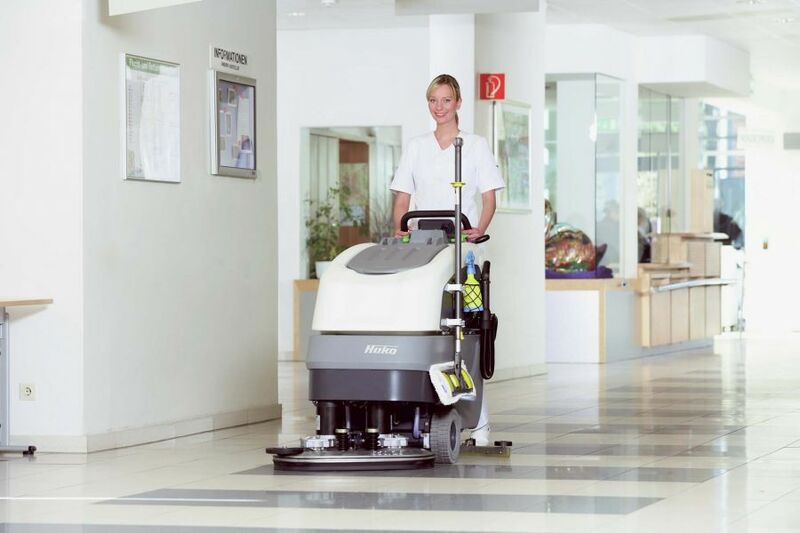 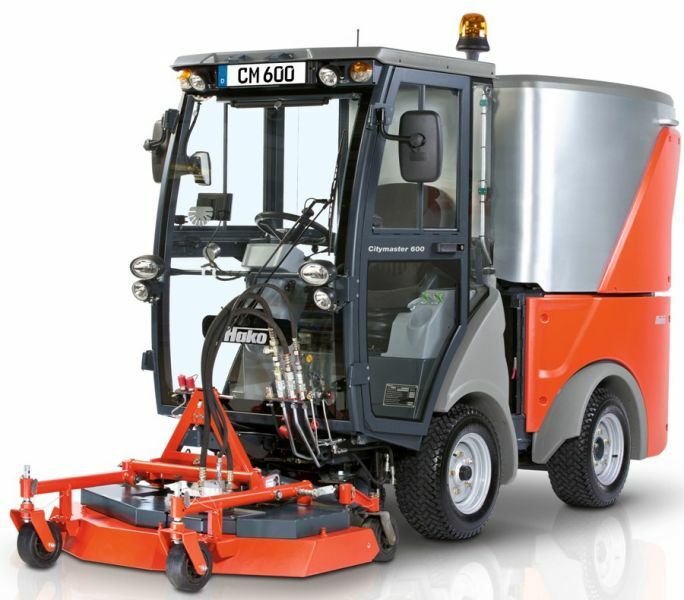 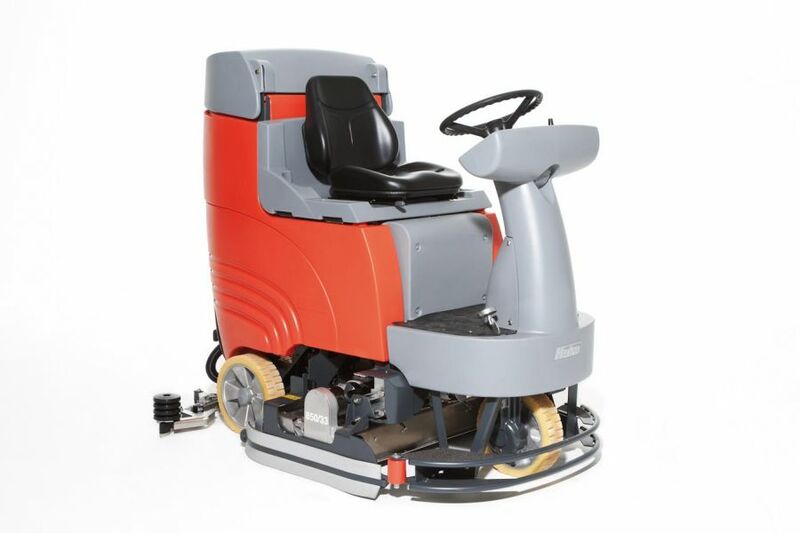 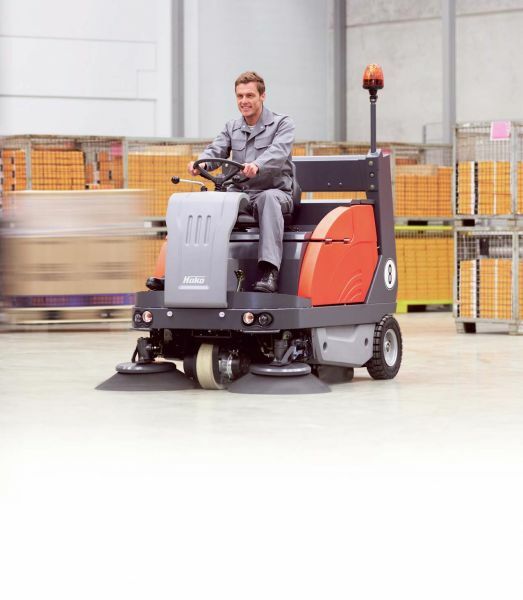 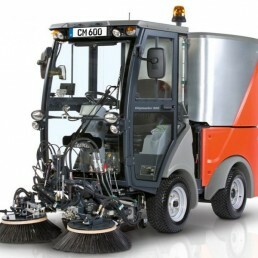 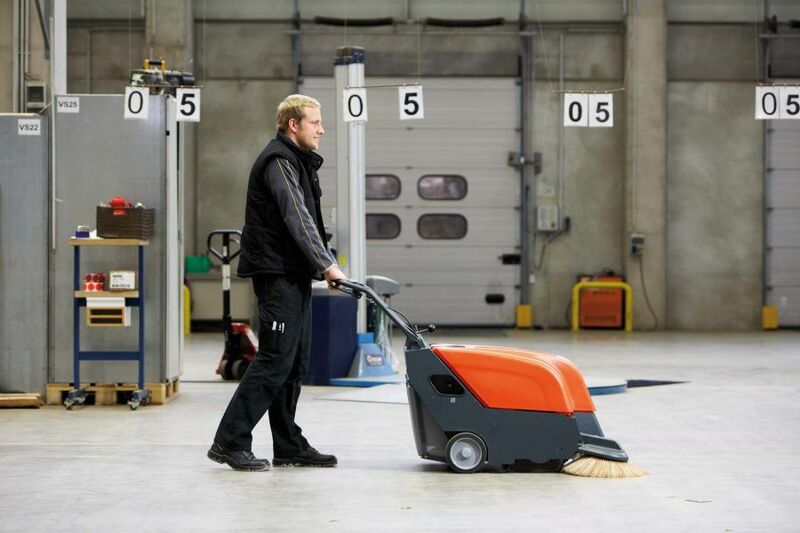 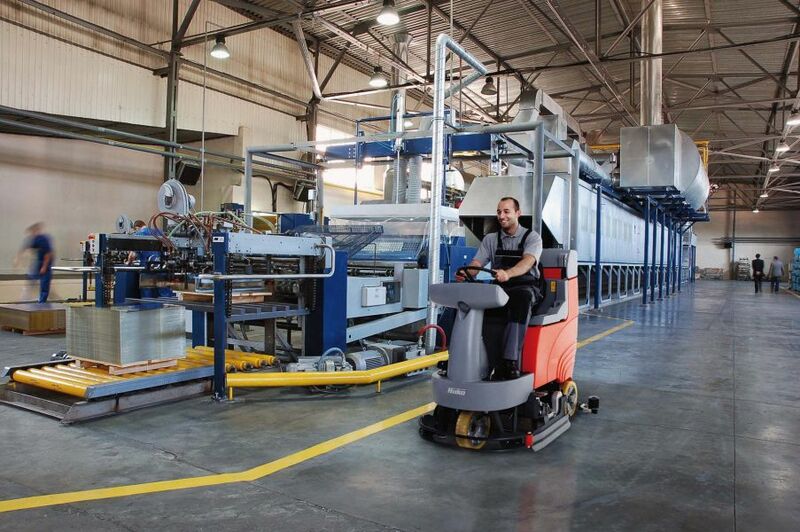 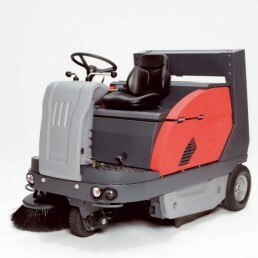 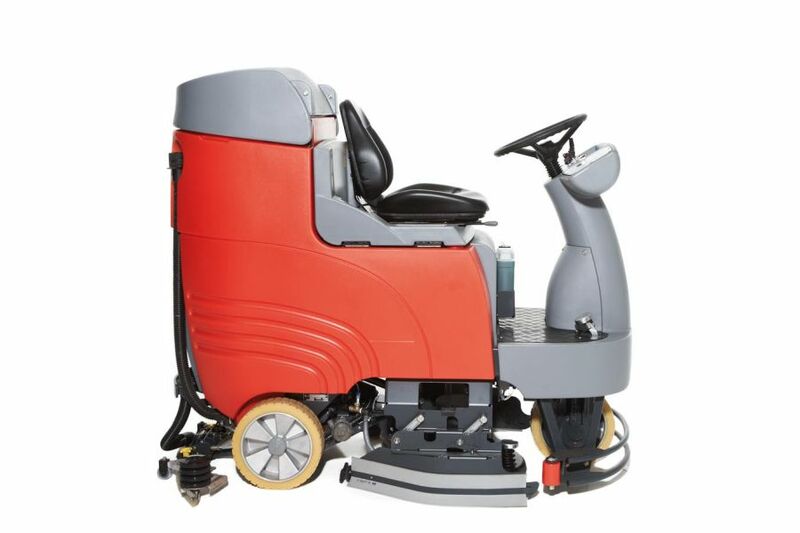 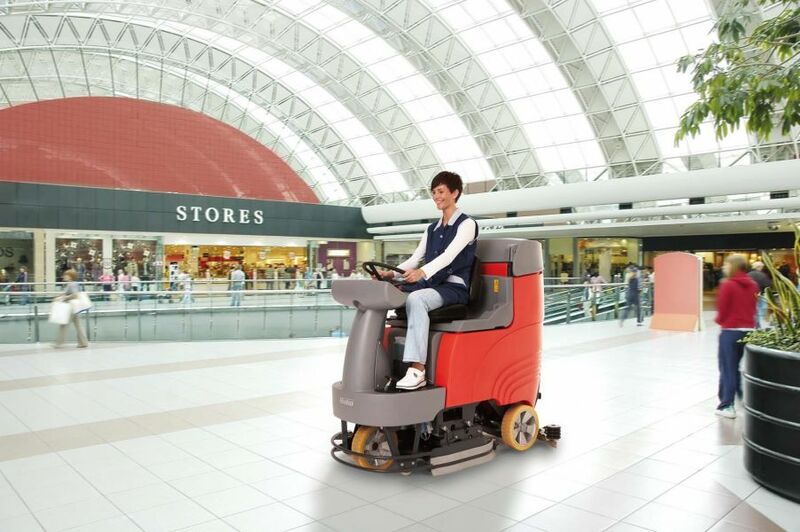 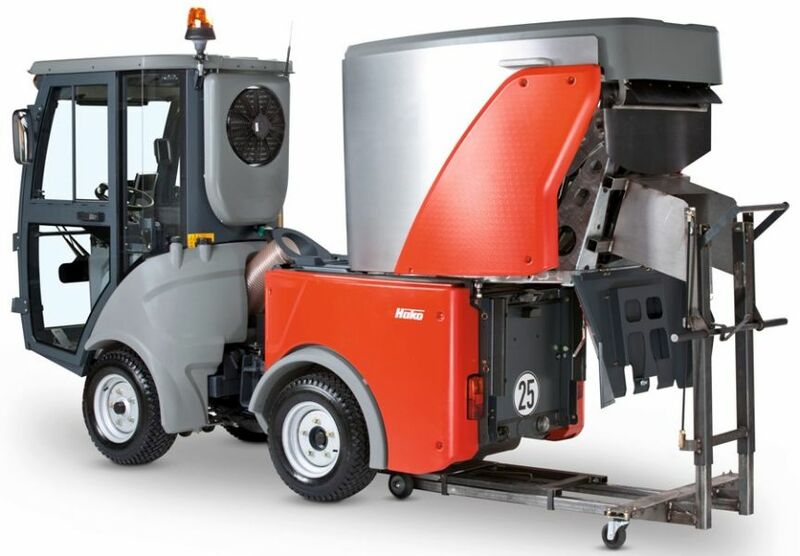 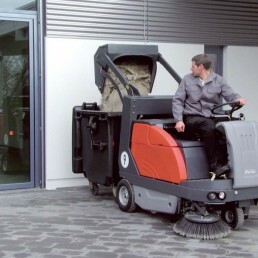 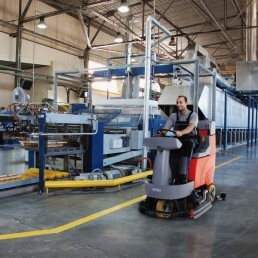 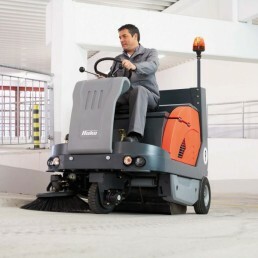 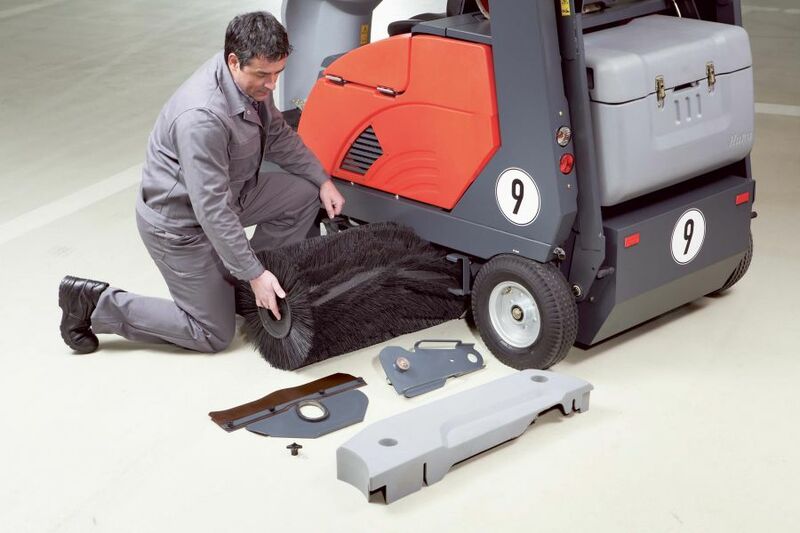 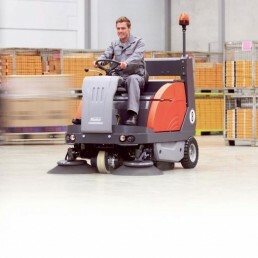 Both the hand-operated and ride-on sweepers ensure dust-free cleanliness, e. g. in small and large warehouses, various types of factory halls, outdoors in the car park or indoors in the underground car park! 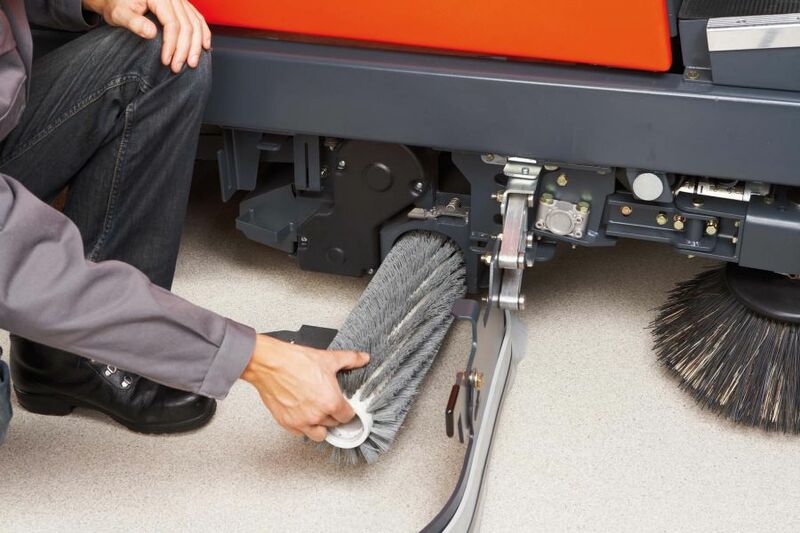 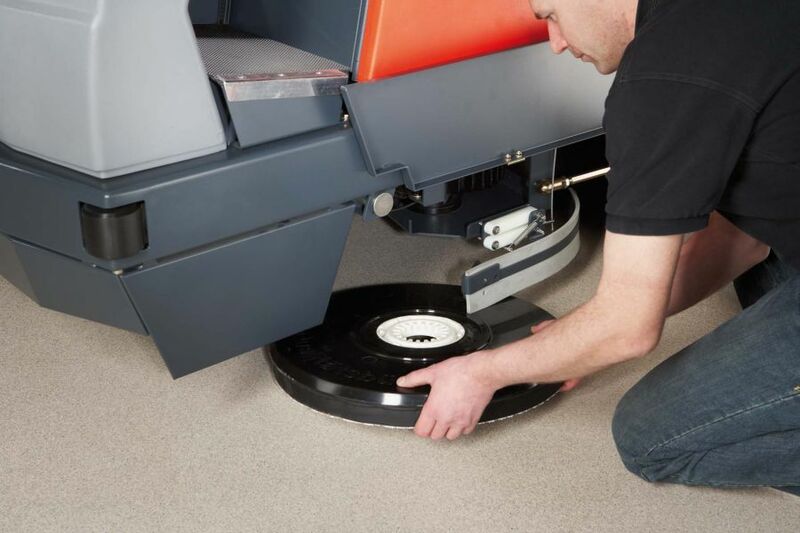 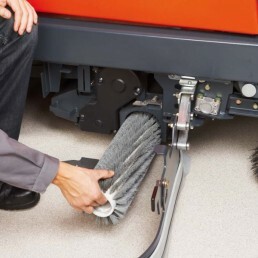 Scrubbing and drying while comfortably seated: The Scrubmaster B115 R ride-on scrubber-drier models with disk or cylindrical brushes for the economic cleaning of hard floors are the clever alternative to hand-operated scrubber-driers. 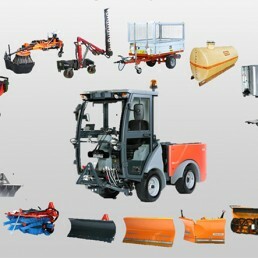 These vehicles are distinguished by their large area coverage in the hard, industrial environment. 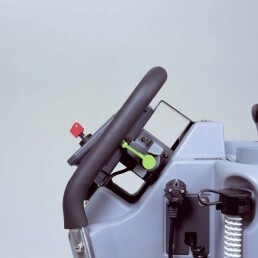 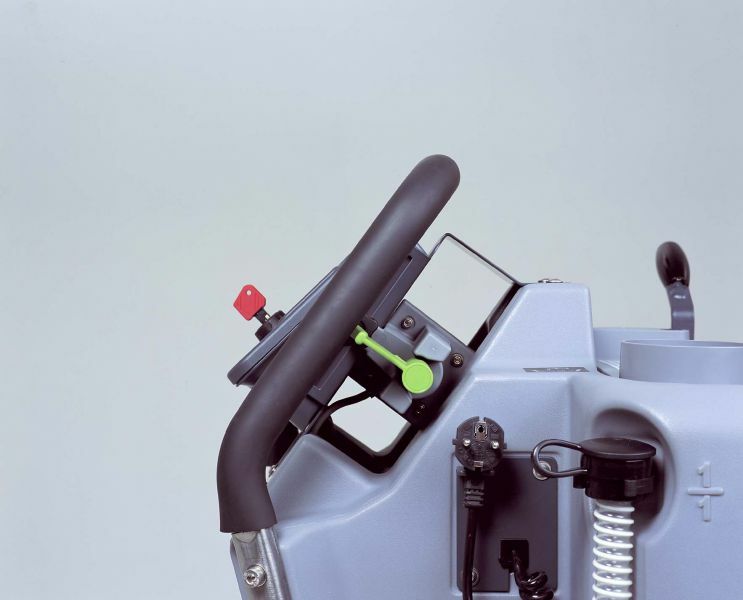 The ergonomically designed cockpit provides an optimum view of the area being cleaned and working equipment. 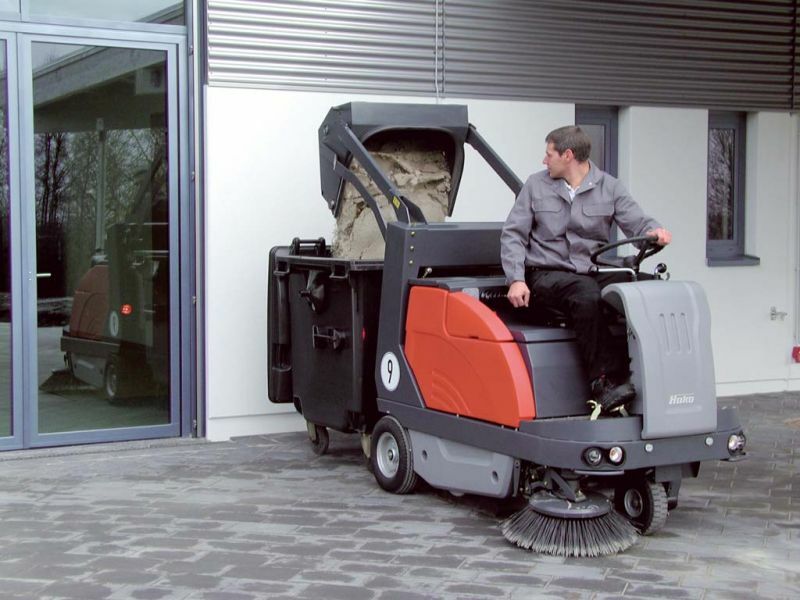 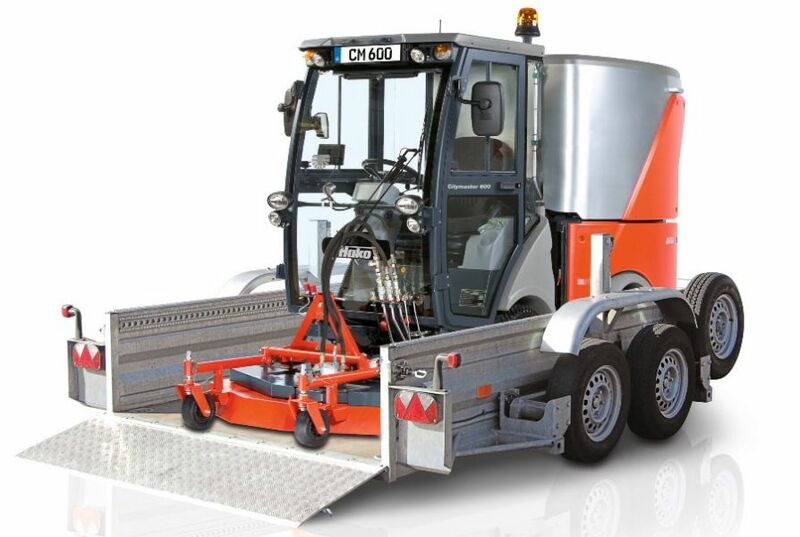 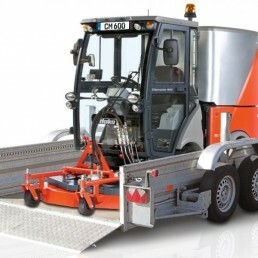 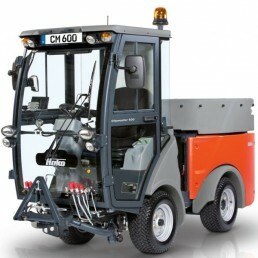 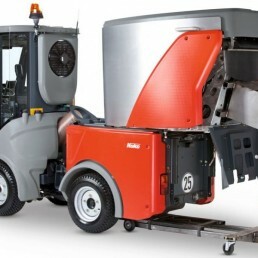 They are even more manoeuvrable than hand-operated machines: The intelligent construction with rear turning and special squeegee kinematics enables a turning circle of just 170 cm (65 to 75 cm) and 175 cm (85 to 90 cm)!